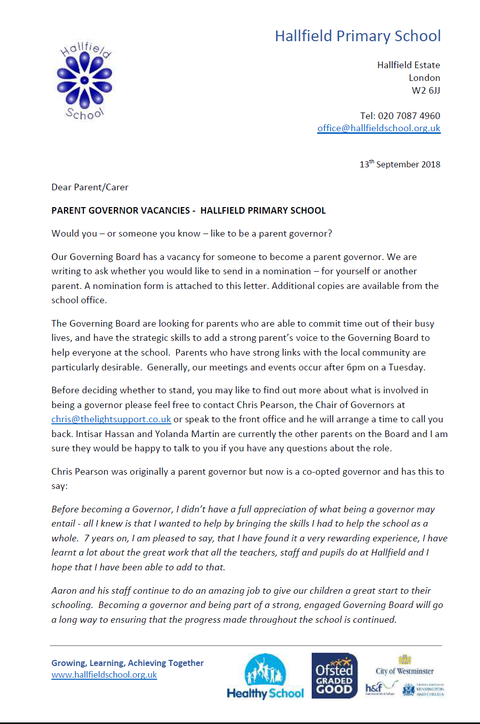 Our Governing Board has a vacancy for a parent governor. 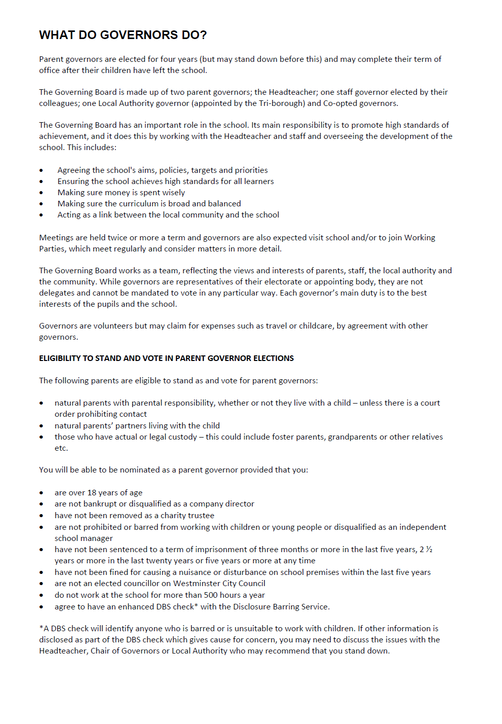 We have written to all parents (please check your child's bag) to ask whether you would like become a parent governor. 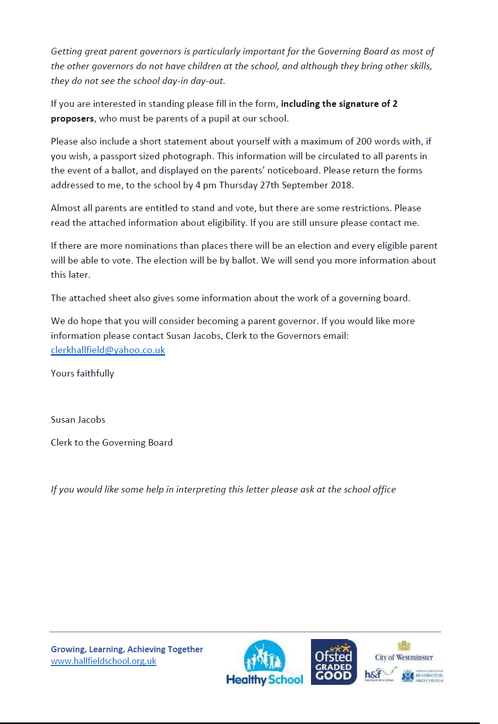 The deadline for nominations is 27th September 2018. 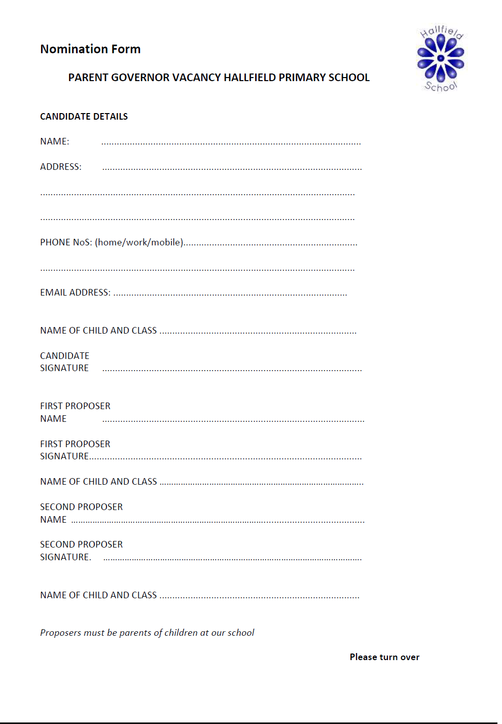 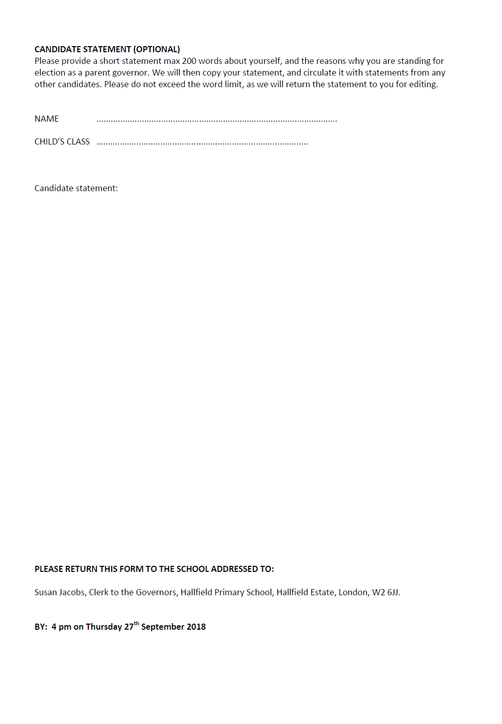 Images of the letters and nomination form are below.